Scientists in the U.K. have been given the green light to edit human embryos. The decision will allow researchers to genetically modify early embryos and watch them develop for up to seven days, in a bid to figure out what influences miscarriages. The controversial procedure will be carried out at the Francis Crick Institute in London, and will work with up to 30 embryos to begin with, though there are hopes they could extend their research using more. The go-ahead was issued by the U.K.’s Human Fertilisation and Embryology Authority (HFEA), who regulate all clinics that provide IVF and store human sperm, eggs, and embryos. The approval requires that the editing not take place until the research receives independent approval from an ethics committee, which is expected to take place by March. Then, the scientists will be able to allow an embryo to develop for seven days, until it is made up of around 250 cells. There are also strict regulations making it illegal for any edited embryo to be implanted into a woman. The research application to allow the editing of the embryos was made by Dr. Kathy Niakan of the Francis Crick Institute. She is interested in discovering which genes are involved in the development of human embryos, and how they can go wrong and lead to infertility and miscarriages. It is estimated that out of 100 fertilized eggs, around half will fail to make it to the early stages of development, while only around 25 will implant into the womb. It is suspected, from looking at mouse models, that genetic mutations could play a role in whether an embryo is successful or not. The work will use embryos donated by couples going through IVF treatment who have a surplus of embryos. 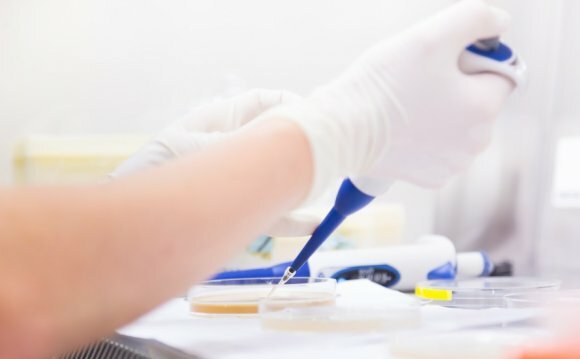 It will then use the powerful gene-editing technique known as CRISPR-Cas9, which allows for the precise identification, removal and insertion of specific genes. In this particular case, it will involve a gene known as OCT4, which has previously been implicated in healthy embryo development in mice. By activating and deactivating this gene, Dr. Niakan and her team will be able to see how it affects early embryo development in humans. While many scientists across the board have given the ruling a warm welcome, inevitably some groups have expressed concern. Last year, for example, 150 scientists, campaigners and health experts signed an open letter warning that the genetic editing of human embryos will “irrevocably alter the human species, ” as these modifications, they claim, could be passed on down the generations. This, however, is assuming that the edited embryos will be implanted, which, as mentioned above, is still illegal under the new regulations.